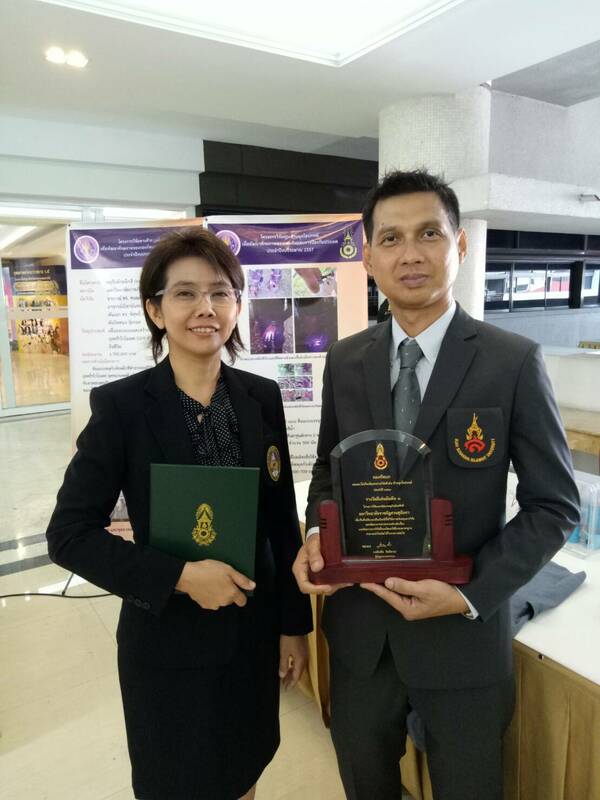 Outstanding Army Researcher of the Year 2560 "Outstanding 3rd Prize"
Home > News > Research / Guest speaker / Expert / R2R > Outstanding Army Researcher of the Year 2560 "Outstanding 3rd Prize"
On March 30, 2018, Dr. Nichinan Sermsri, Creative Product Design Faculty of Fine and Applied Arts, Faculty of Electrical Engineering, Chulalongkorn University Faculty of Industrial Technology Received the Certificate of Outstanding Researcher in Military Equipment of the year 2060. "Outstanding Award No. 3" in the research and development of firecrackers and ink paints by General Chaloemchai Sittatat, Army Commander. The certificate was presented at meeting room 241, Royal Thai Army Headquarters, Phranakhon, Bangkok.